In typical business structure, there is a hierarchy. The hierarchy allows for a clear understanding of One’s place within an organization and sets in place a path of communication from top to bottom and vice-verse. The question is: Whether the leaders within the hierarchy utilize the structure to supports the mission and goals of the organization or if they simply act as the proverbial iron fist, causing fear and strain in the workplace. Crossed arms, snarling looks and a reputation for being difficult doesn’t translate into a CEO, Executive Director or Manager who is a leader. Behavior such as walking by fellow colleagues without as much as “hello” or at least a nod of your head sends the message to subordinates, that they are unimportant and expendable. This is dangerous stance for persons in organizational leadership roles, because the people can make or break a business. Employees who enjoy their job, feel valued and have solid commutative relationships with their fellow colleagues, tend to be more loyal to not only the company, but to their supervisor/s. The argument from the supervisor’s position might be that they conduct themselves in this manor to create clear subordinate-supervisor boundaries. Yet, if the boundaries established in this manor simply isolate a boss from their staff, create environments of stress and even fear, then it’s not boundaries you have established, but tyranny. Effective flows of communication include the common element of respect. Respect must be bilateral in the context of a safe environment. Clear boundaries in a supervisor-subordinate should be built on these elements rather that scare tactics. A superior may set the precedence that although s/he holds this position of power, they are aware that the organization cannot be the best it can be unless staff as whole can also be their best. Provide opportunities (staff meetings) and forums that permit staff to offer up potential issues they foresee from their unique perspective as well as plausible solutions. Allowing employees to express themselves, shows that their opinions as well as their role. Discuss that from time to time all involved may not agree, and that is alright, because it is part of the process. Vested employees will go above and beyond when they are integrated as a vital part of the organization. Be aware of obstacles hindering the communication process. Think of the game telephone. The message begins clear and on point, but in its course of traveling from mouth piece to mouth piece you may end up with an entirely different message. Avoid miscommunications due to messages lost in translation. Electronic messaging is a great avenue to allow easy communications, plus they are in writing and can be reviewed by readers at any time. A direct channel for communication supports a leadership stance of accessibility. Considerations such as who is operating in key organizational roles, the method in which information is being conveyed from top to bottom, as well as how the message is received play a vital role in organizational success. True Leaders find value in those around them and have the ability to bring out the best in others rendering success of all constituents. Custom Facebook Tab Made Easy! In less than an hour, I was able to design the tab below. 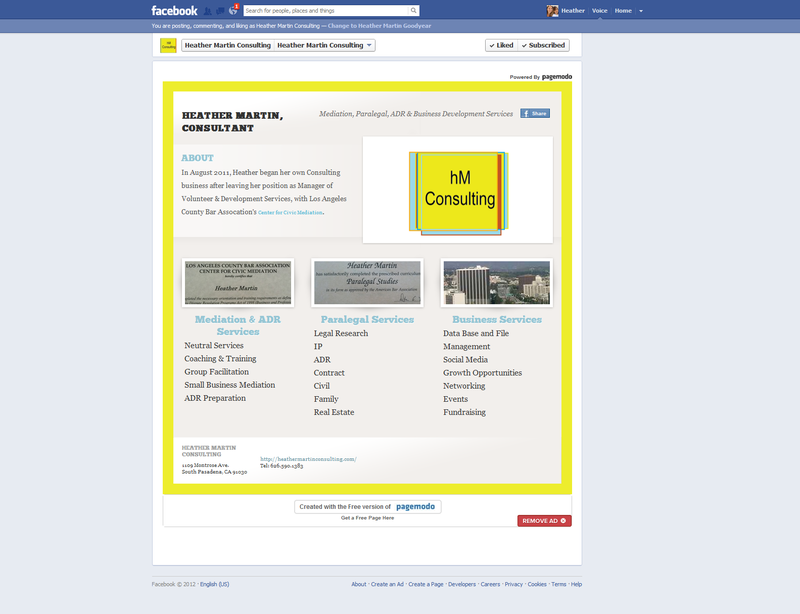 I now have reciprocal links between my Facebook page and webpage, thus increasing my SEO. Check out pagemodo and design your own custom Fb tab. Pagemodo has options for free and paid tabs. The catch with the free tab is that they include “powered by pagemodo” on the tab and you are limited in the font and color options.